It was this time last month that we decided to supplement our home solar panel array with a 2013 Chevy Volt(s gm). How have the last four weeks treated us and our car? Pretty good; in fact, better than I expected. The average Volt driver reportedly fills up the gas tank every 900 miles or so because the gas engine only kicks on after the car’s battery has been depleted. We’ve driven more than 1,300 miles on this first tank from the dealer and haven’t filled up yet, although we will soon. One external factor that’s hurting the number of miles we can run on a full battery charge is the winter. Under typical driving and climate conditions, GM says the 2013 Volt should get around 38 miles of travel on a single charge. But like any batteries, those in the Volt are adversely affected by cold temperatures. As a result, we’ve experienced some driving days where we only get 34 or 35 miles on car’s battery and then the gas generator kicks in. The engine has also turned on sporadically to maintain the battery temperature; even when there’s still plenty of juice in the power pack. I’ve noticed this when the temps drop below 35-degrees or so, which is common right now where we live in Pennsylvania. These few periods when the engine heats things up a bit don’t use up much gas however. The engine might run for two or three minutes at a time. Part of the reason we decided to get a car that runs primarily off of electricity is because we’re creating more electricity than we use on an annual basis. In the last 12 months, our 41 solar panels produced 13.8 MWh of electricity but we only used 7.5 MWh of it. Of course, recharging the Volt’s battery on a daily basis is increasing our electricity consumption. It takes roughly 10.8 kWh to fully charge the Volt, which costs us about $1.18 and takes 10 hours with the standard charger. Although the month of December isn’t over, I checked our electricity usage to date and found it to be 628 kWh so far this month. A quick peek at our home’s solar energy electricity production show that we’ve only produced 462 kWh of energy, so we’re at a deficit. (Note: Our solar array data is made public in real-time here.) I’m not concerned, however. We’ve built up enough of a surplus with our energy provider so we’ll simply tap into that reserve instead of paying a bill this month. And the winter months are known for both their shorter days and a lower sun angle, so I’m not surprised that we haven’t created enough electricity to have a surplus. That’s sure to change as the days get longer: Last June our panels produced 1.48 MWh of electricity, or nearly four times that of the current month. 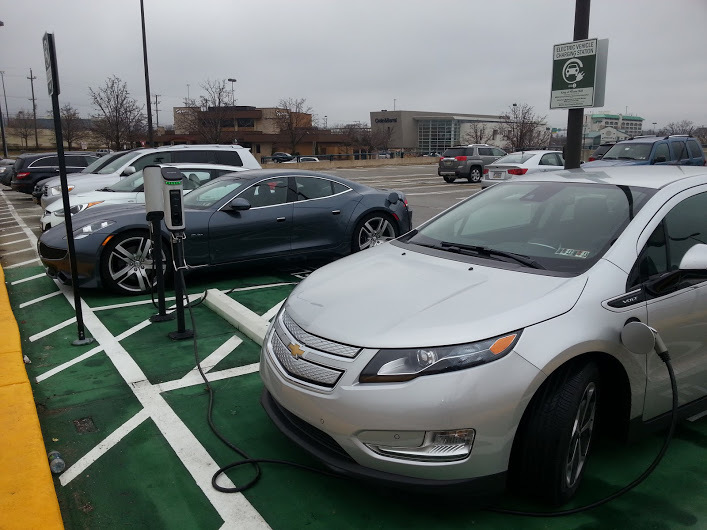 Even though there aren’t too many public charging stations in our area, I have found one at the King of Prussia mall, which is the second largest mall in the country and local to us. Atop one of the parking garages are two spots dedicated to electric vehicles, complete with a pair of 240V charging stations. There’s no cost and we’ve taken advantage of them three times already. By the time we’re done shopping, our Volt battery is fully charged for the ride home. Even though we’re tapping our personal reserve of electricity, we’ve come out way ahead in this first month. It was a typical driving month for us, in terms of mileage, but didn’t really cost us anything out of pocket for fuel. The prior month, we drove roughly the same miles and spent just over $227 in gasoline costs. This month we didn’t see an exact savings of that figure, of course, however the first tank of gas in our Volt was provided by the dealer. And, as noted, we won’t pay anything more for the electricity used to charge the Volt. If we can fill up the tank once per month — at a cost of around $35 for the small tank — and produce enough electricity from the sun, we will have drastically cut our costs for fuel. Not only are we saving money, but we’re having fun driving the car. I really enjoy it. It’s almost like a game to me: Getting each ride to be as efficient as possible. We haven’t really been limited by the fact that only four people fit in a Volt but it could be a future inconvenience. We have two kids, so in most cases, we’re fine. If the kids have a friend over and we have to go somewhere, either my wife or I ends up staying at home. If nothing else, it gives one of us an excuse not to be the kids’ chauffeur. I still haven’t enabled the OnStar account, so I haven’t yet been able to play with the smartphone apps. I’ll do that over the holidays. 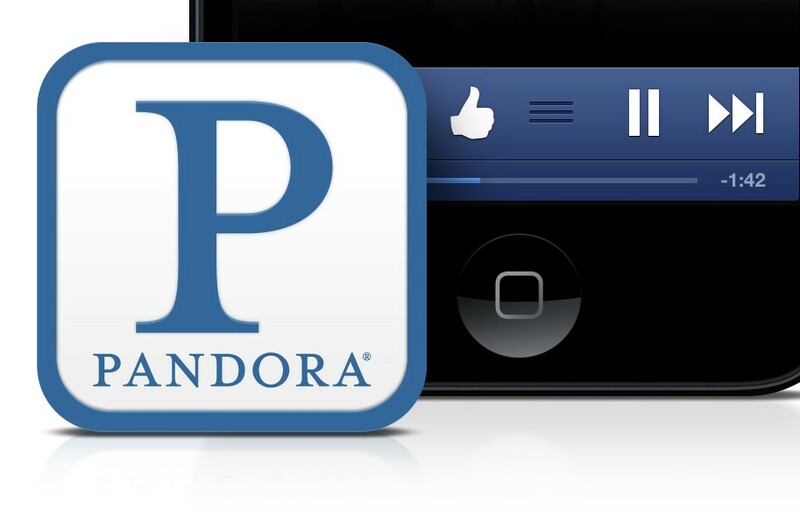 I’ve also ended up saving myself $10 a month by cancelling my Rdio music subscription and just using Pandora in the car over Bluetooth. There’s a dedicated Pandora app that displays album art and supports the thumbs up / thumbs down rating activity on the car’s touchscreen. So far there isn’t much that I don’t like in the Volt, save perhaps the many touch buttons in it. All of them are labeled against a white background — at least in our model — and can sometimes be hard to read. Without a doubt, you really have to look the console to find the right button, which can be a safety issue. My way around that has been to make very good use of the car’s integrated speech recognition system, which works quite well for audio and climate controls. 1.18$ /38 miles is more than petrol price? The price of solar panels give you a power price more expensive than this and 10hours takes 2 days to charge The price of car and batteries are more expensive than a regular car. The public spends helping all those (banruptted?) adventurs is great. Explain me all the business as for a five year child! I went to a Volt Owners meeting recently. They suggested turning the car on and pre-heating while still plugged in. I don’t know if you’ve tried that, but with solar, it’s perfect for you. You leave with a warm cabin and a full charge. I think the Very Cold/Cold setting is actually 25 degrees F and 15 degrees F on the 2013. I’m loving my 2012 but I dread the “Engine Running Due to Low Temperature” :) and it doesn’t have a “Very Cold” setting. The Volt is by no means an economy car. It should not be compared to economy cars such as the Chevy Cruze or Prius even. What it is, is a fairly luxurious, fairly sporty, really, really fun to drive car. Mine replaces my Corvette. The fact that it is very inexpensive to drive is a side benefit and adds to the “game” which makes it fun to drive. As an owner it is really hard not to love the technology. You also aIso apparently forget or don’t mind the subsidies you, me, and every taxpaying American give to the big oil companies EVERY YEAR. Me? I want my share back of that $4 billion+. Not to mention the money spent for Middle East oil wars. Wake up and smell the gas fumes, buddy! Not an economy car? I’ve purchased 6 gallons of gas in 15 months. My charging costs equate to 130 mpg when gas is $3.50. I paid $31,000 for my Volt. In 5 years, I will save $6,000 on gas, including the cost of charging. A like optioned Cruze (is there such an animal), would cost $25,000. In 5 years, that Cruze will use $6,000 worth of gas. That means the Cruze will cost more than my Volt did before my gas savings. Your dealer dropped the ball if they let you leave the lot without setting up OnStar for you (with you, actually). It is still included in the price, right? Once you have it working, you should sign up for VoltStats @ voltstats.net. Sad that even a nice writeup like this brings out the anti Volt crazies. Ouch! No, they’re not crazy, just misinformed and “pre-programmed” by a very powerful and pervasive anti-Volt proganda machine. To them I ask, “Want to take America back?”. Start by buying or leasing an EV, and the Volt is one of the best and most flexible and affordable options to get started. Over-priced, under-powered. The Cruze isnt bad though. I have rented one a couple of times and would take one of those over this thing and wont have to buy $10k battery later. So what youre saying is the car only becomes affordable when you make other people subsidize it. So Allan, subsidized like your mortgage interest or charitable deductions? Do I pay for those like you pay for my car? Allan, please try to pay attention, it is a $7500 tax c-r-e-d-i-t (refund of the buyers own tax dollars) and it is non-refundable. Which means if someone does owe that much tax (or hasn’t already had as a payroll deduction as most of us do) then they cannot get it back. As Mike said, it is hardly different than the various credits and deductions in the tax code that are utilized by a variety of tax payers for purposes that the government wants to encourage its citizens to engage in certain economic behaviors that are generally considered to be beneficial to not only the individual but also society (such as home ownership, with the mortgage interest deduction) Do we to get Shepard Smith on camera reading scrolling talking points to get folks to understand the basic Volt and EV facts?!! Let’s be very clear about the topic of subsidies for alternative fuels. The U.S. government funded oil and gasoline subsidizes cost each tax payer far more than all the alternative fuel research and EV subsidies combined. That means that I subsidize your driving more than you subsidize mine. That doesn’t even count the last two mid-east wars, which cost obliterates this entire subsidy discussion. Nor does it count the cost of our constant mid-east naval presence required to ensure the safe delivery of oil out of the Persian Gulf. Solar is the best way to charge a Volt. We have 2 and our 12.5 Kw array has kept out electric bills to under $300 this year. This is a huge feat here in AZ where the AC costs are huge. Kevin, you’re using some misleading numbers for our area. I live west of you but also use PECO as my energy supplier. I also have Solar PV (just installed). PECO charges .16/kWh now (a bit lower than last year) and a fully depleted Volt uses 13kWh from the wall plug (12.5 if 240V charging is done). So, let’s say you use 13 kWh from the wall at .16 – that is $2.08 of energy going into our SE PA Volts. It’s also one reason to choose solar – to bypass the moderately high PECO energy costs. I compute electricity by looking at both the cost of energy (just under .10) and distribution (about .06+) per kWh. A monthly bill of 1000 kWh is “about $170” in our area. John, We have electric competition in PECO terretories. You can lock in .075 for generation with Next Energy. Look at the different offers at the PECO site or at PA PUC and save. I locked in .075 generation. ^^^ here we go again… Saving US jobs is such a bad idea. Instead we need to put sink more taxpayers money into foreign affairs or the military. I think we should spend trillions to go to mars, and maybe, just maybe something good will come out of it. Joe from Jersey: The Volt prototype had it’s debut in 2008 — before the bailout. The battery pack is made in Brownstown, MI. The $50,000 loss per car is a discredited number that amortized the R&D costs over the cars sold at the time, not over the manufacturing life of the model. You don’t know what you’re talking about. Zapf: Slight correction, is was actually the *production* model not a prototype debuted in 2008 (16-Sept to be exact) so yes, well before any bailout. In fact in 2009 the Feds wanted GM to cancel the Volt production to save $$ but GM insisted it was a key part of their future business strategy. @Joe: as zapf said, you have no idea what you are talking about. Get tge real facts, take a test drive, and you will! 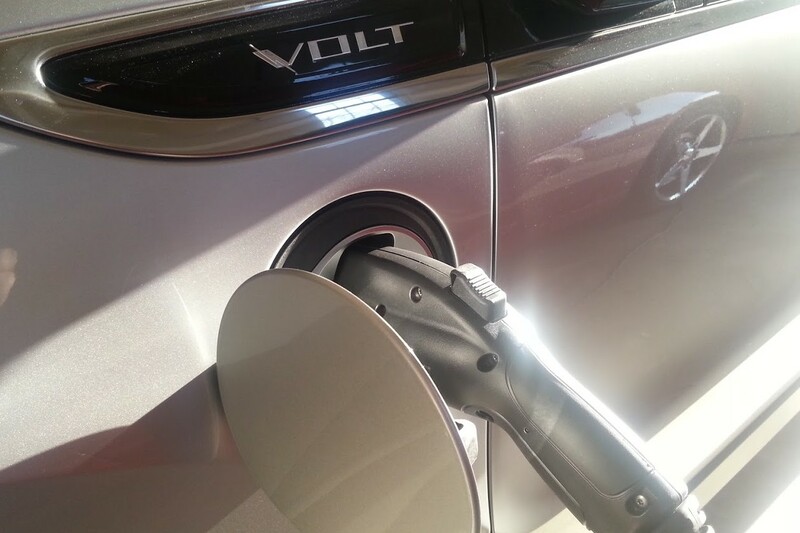 It’s great to see the Volt is appreciated by early adopters. The problem is GM was helped by the Feds to develop this car, at taxpayer expense, and GM currently LOSES $50,000 on every volt it sells..
And we gave $150M+ to LG Chemical to build a battery plant in Michigan; it has yet to supply one battery pack…. The battery packs are being built in South Korea. The winners: South Korea, LG, Bankers and buyers of Volt. The Losers: Americans who actually pay taxes, and workers being furloughed while their S Korean counterparts are actually building something. Ok this is nonsense. The Fed didnt help develope this car and it doesnt lose 50k for each one it builds. Engineering costs arent allocated that way and GM started this in 2006. My sticker says 46% US and Canadian content with enigine and transmission built in the USA and does not include final assembly, distribution and other non-part costs. So that means it would be much higher US content if those other costs were included.The Ford Fusion on the other hand is built in Mexico. So the Volt is more USA than than a common Ford product. lastly my stickers says 18% for korea, that is probably for battery components. turn off Fox. The Volt is an amazing peice of US technology concieved by a conservative fellow named Bob Lutz. Great reply to the Fox addict. We need these real-life stories if we’re ever to have a prayer against climate change and the inevitable struggle for that last easy-to-get drop of oil. You need to read the Reuters article started this little piece of information. It’s all in paragraphs 22-24. Here’s my little video on that subject. Cold? Try -5 to -15c , going into my second winter with my 2012 volt here in Toronto and I have learned to just drive it like a normal car, just plug it in at night and unplug it in the morning, use the heat, wipers, lights , just like the gas guzzler it replaced, and dont worry about the battery drain. 15500 km on 167 liters of gas, about 204 mpg. On really cold days I sometimes get only 40 km, vs a normal 65 km during the summer, but hey, it beats given thousands to the gas man! Kevin you can set in the climate settings for the Volt to only start the engine when it is very cold instead of cold. This will make it run for a minute or two at 25 degrees instead of 35. It’s only starting to help heat the cabin at that temp, not for the battery. Mike, thanks much for this tidbit. I modified the settings as you noted – appreciate it!